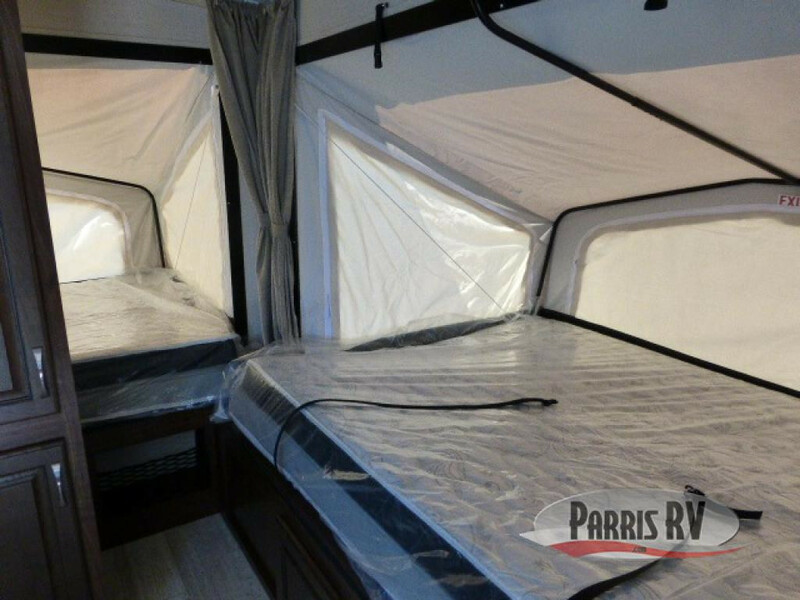 If you’ve been eyeing the Forest River Rockwood Roo expandable RVs for sale at Parris RV, then you don’t want to miss this expandable RVs review! In this review, we’ll explore the three main reasons to choose an expandable. Find out more about this Forest River Rockwood Roo expandable for sale at Parris RV. Expandable RVs are a great way to move from tent camping into the RV world. Because expandables feature bed tents, you can get the airy feel of tent camping, without having to worry about cutting your vacation short if the weather turns bad. Expandable RVs features indoor kitchens, and some even have upgrades available for bathrooms! In this Palomino Real-Lite, there are three queen bed tents and a dinette so that you can sleep up to eight campers with ease! Interested in this Palomino Real-Lite expandable? Contact us! Because expandable RVs are some of the more lightweight RV options, they are easy to tow behind most vehicles. The bed tents help to keep expandables lightweight and most feature aluminum construction and fiberglass exteriors. 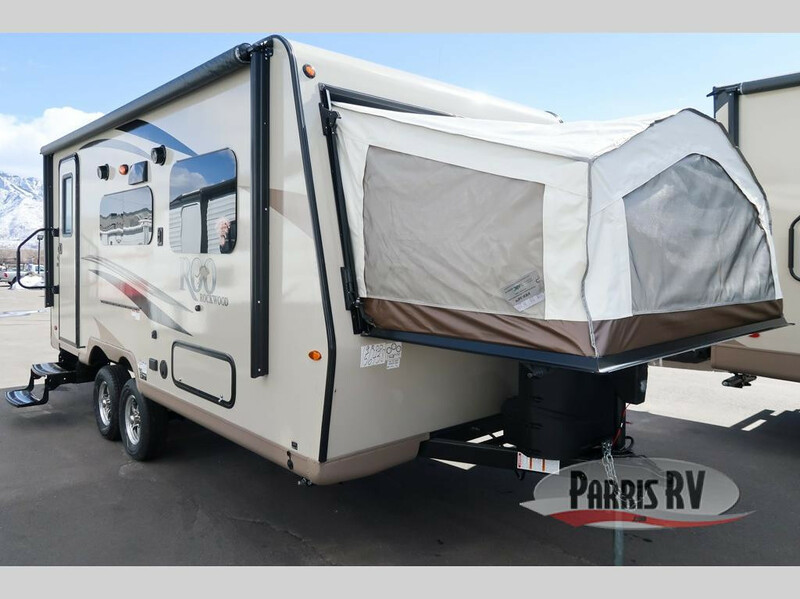 This used Dutchmen Kodiak expandable RV even features an ample cargo space on the front to allow you to haul your favorite outdoor toys, or any extra gear you might need to make your vacation a blast! This Dutchmen Kodiak expandable’s cargo space is big enough for ATVs, mountain bikes, or kayaks! Another way that expandables are an upgrade from tent camping is the amenities available. 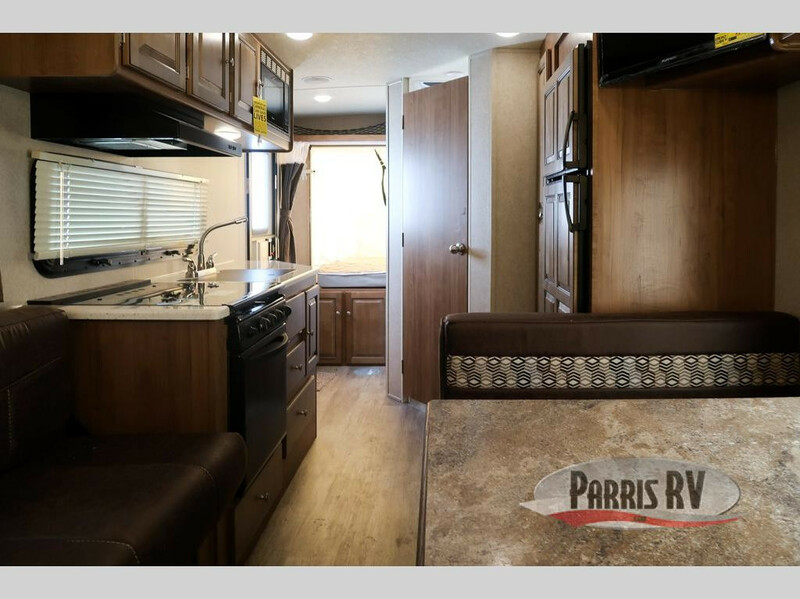 Your expandable RV could feature a full kitchen with refrigerator and microwave, even a range and spacious sink for clean up, like this Forest River Rockwood Roo expandable. Some expandables feature full baths and LED TVs. The possibilities are endless! Spend your next vacation doing what you love with all the luxuries of home! Looking for more pop-up and expandable RVs for sale? 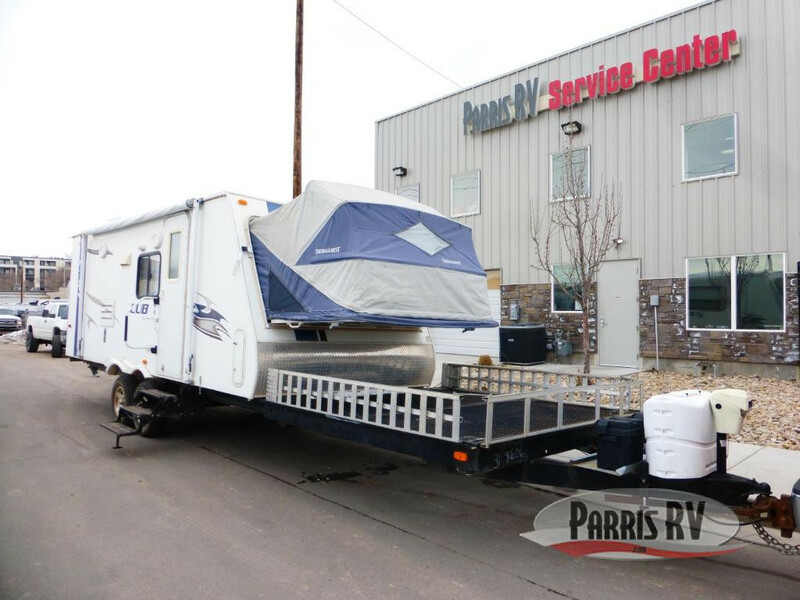 Check out our full collection at Parris RV, or contact us today!